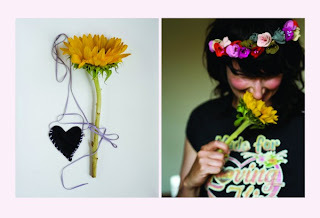 I am obsessed with Lara Vincent flowery headdresses that I saw Rumi Neely wearing on her blog. They're 75-300 dollars to custom order, I think I'll figure out the amount in pounds and just go for it! 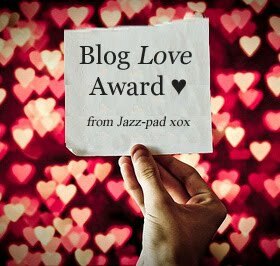 I would like a black one like Rumi's or maybe a white one... black will probably look better with blondish hair. Want, want, want! Oh and how cute are her "littles"?! 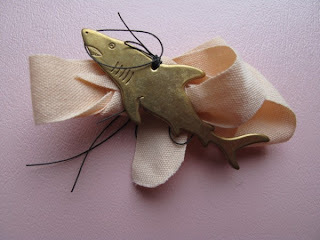 I am TERRIFIED of sharks, but the combination of the gold and the light pink ribbon somehow makes it look cute!